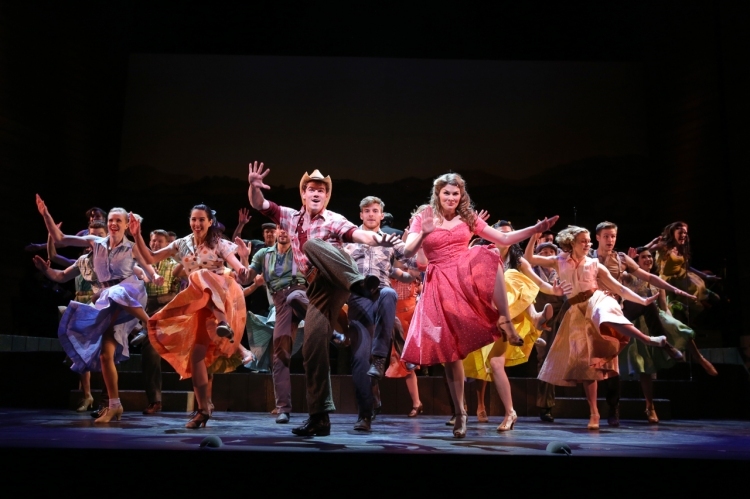 Eclipsing most of the current crop of Broadway blow-ins, The Most Happy Fella was a triumphant combination of terrific material and expert staging, enhanced by the sort of lavish-sized orchestra and cast that are only possible for a short run. 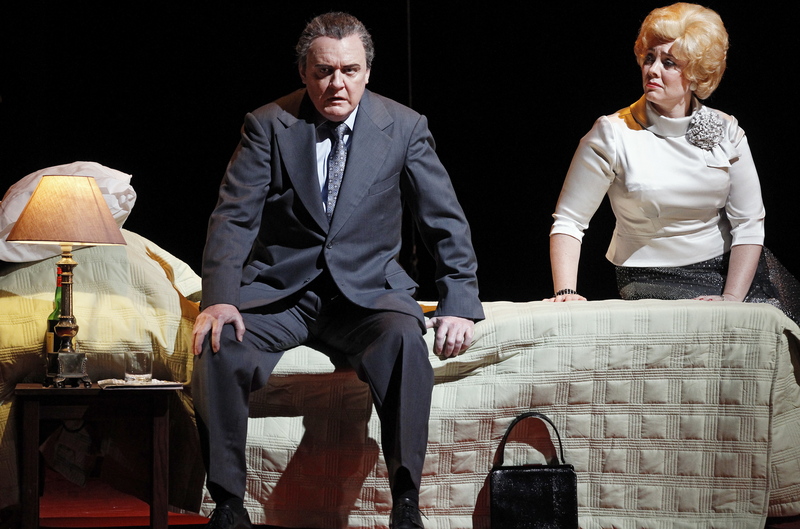 As with Melbourne’s The Production Company, which was, in turn, based on this model, Encores stagings have become increasingly more ambitious and accomplished. 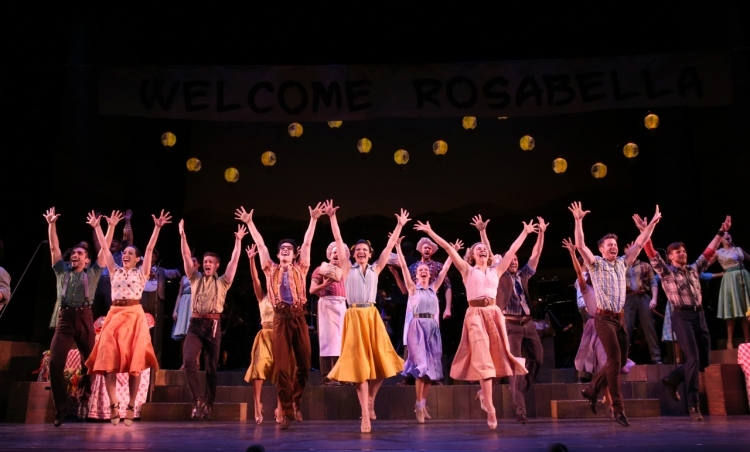 While Rob Berman’s massive 38-piece orchestra dominated the stage, scenic elements were abundant, costumes were attractive and, best of all, Casey Nicholaw’s direction and choreography were absolutely first rate. Written entirely, Meredith Willson-style, by Frank Loesser (Guys and Dolls, How to Succeed…), the musical drama strays as close to the world of opera as Broadway would ever and has ever dared. Almost through-sung, even the book scenes contain frequent snatches of singing plus plentiful underscoring. For music theatre lovers, this is an absolute boon, giving us a show that is an almost nonstop celebration of melody and rhythm. Nicholaw’s period-friendly direction immerses the characters in their old fashioned world, avoiding the jarring clash of long-gone social mores and values. The soap opera-like plot was played straight, creating genuine emotion and pathos. With the stamp of a true director/choreographer, Nicholaw had the whole production dancing from scene to scene, with nary a second of potential movement squandered. 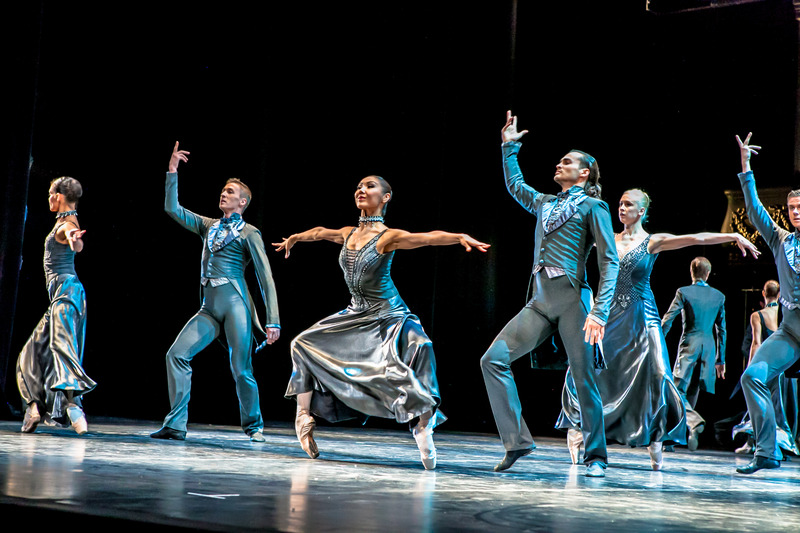 Full company dance numbers, such as act two show stopper “Big D,” were nothing short of spectacular. 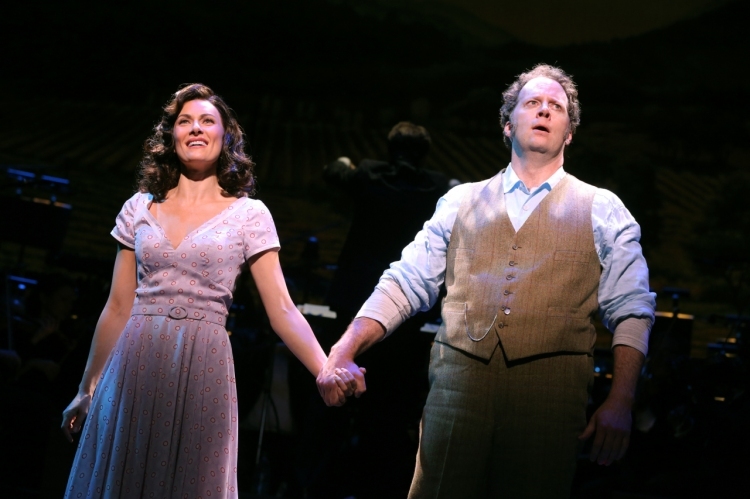 Shuler Hensley may have been not quite old enough to play title character Tony Esposito, but if the idea is that beautiful young waitress Rosabella (the enchanting Laura Benanti) falls for a non-typical leading man then he fit the bill perfectly. 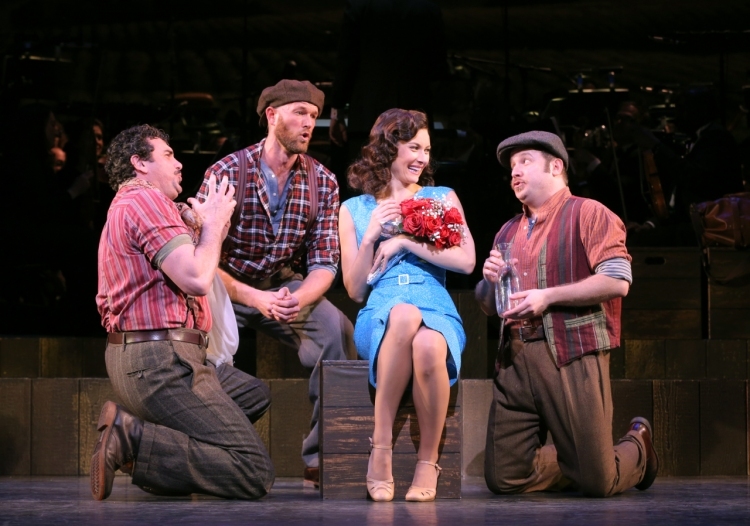 Benanti, fresh from the smash television success of The Sound of Music Live, proved herself the loveliest of leading ladies here, and had the rare chance to sing a lead role that called for an abundance of high soprano singing. 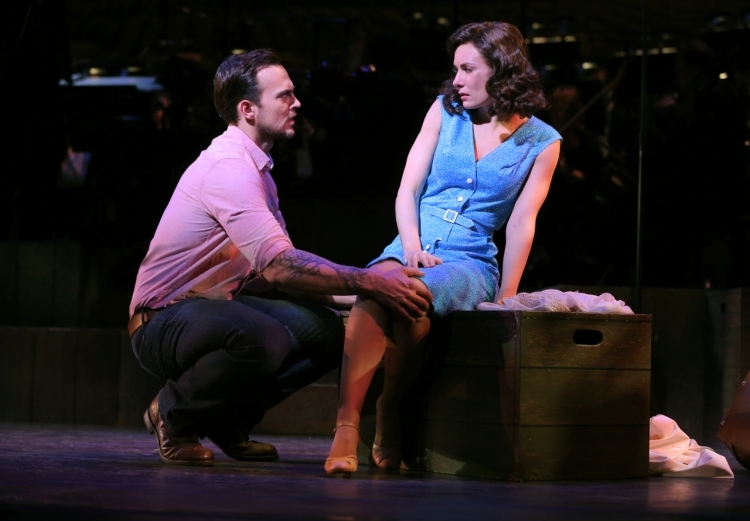 Hensley was all blustery charm and twinkle, winning the audience as effectively as Tony won over Rosabella from the flashy young farm foreman Joe (played by Cheyenne Jackson in an effortlessly winning performance). 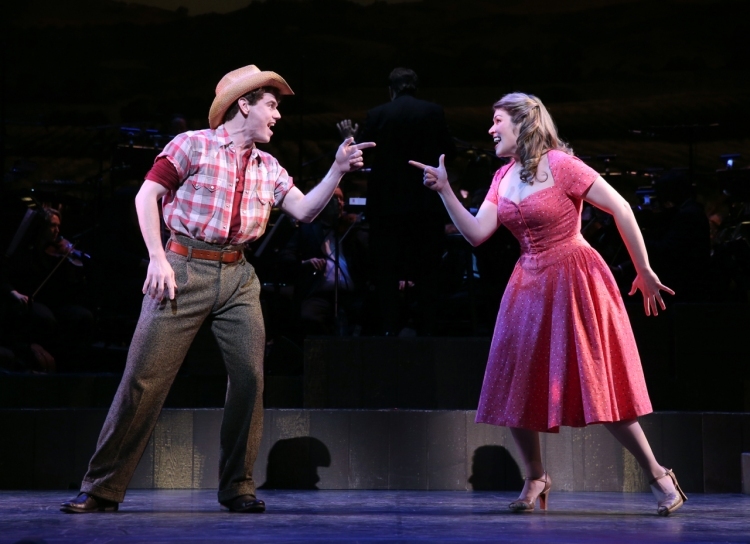 Second leads Heidi Blickenstaff, as Rosabella’s colleague Cleo, and Jay Armstrong Johnson, as friendly farmhand Herman, almost stole the show in act two with their terrific comedy, singing and dancing. Blickenstaff channeled the broad comic vocals of the great Randy Graff in her standout performance as Cleo. Armstrong ended his character arc by pulling off a clever piece of slow motion direction when nice guy Herman finally stood up to local bully Pasquale. Act one male trios “Abbondanza” and “Spozalizio” were superbly sung by Zachary James, Bradley Dean and Brian Cali. Tony and Rosabella’s act two duet “My Heart is so Full of You” literally stopped the show, with rapturous applause continuing so long that it did not stop even as the subsequent dialogue started. This was a once-in-a-blue-moon event that will be a treasured memory for all who attended. 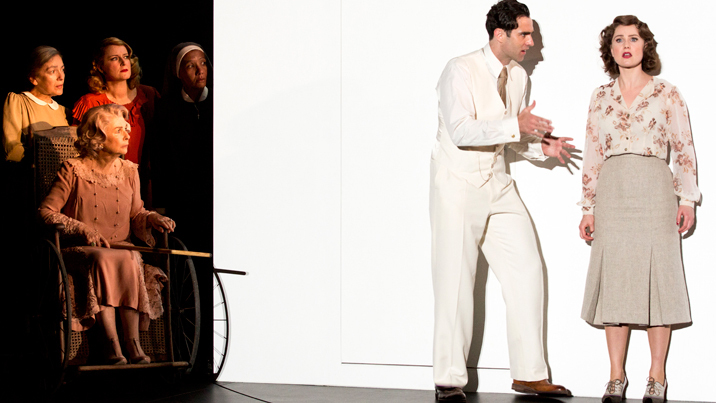 The Most Happy Fella was reviewed 7pm Sunday 6 April 2014 at City Center, New York. I have to admit, I’m not familiar with this show, although I remember seeing a Youtube clip from the early 1960s of Carol Burnett and Julie Andrews at Carnegie Hall singing “Big D”. I’ll definitely have to catch this one if it comes to Melbourne soon. Thanks for the great review. Unfortunately I don’t think Melbourne, or even Broadway, will see a full version of this any time soon. It would be am absolutely perfect show for Production Company so maybe they will have a go at it at some stage..